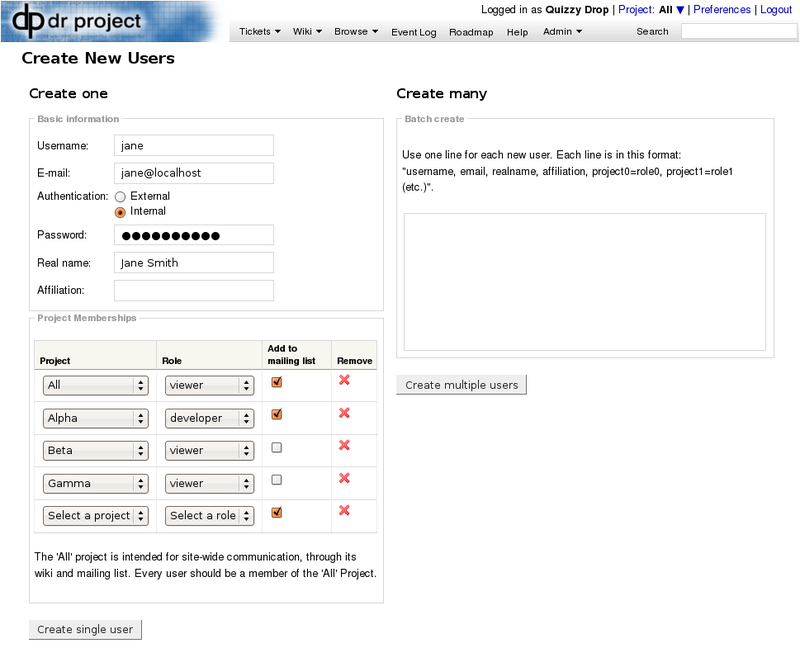 Although it isn’t apparent from the screenshot, a new memberships row (with “select a user/project” and “select a role”) is added whenever the final row is filled. This entry was posted on 2008-07-28-Mon at 11:15 and is filed under DrProject, Uncategorized. You can subscribe via RSS 2.0 feed to this post's comments. You can comment below, or link to this permanent URL from your own site. 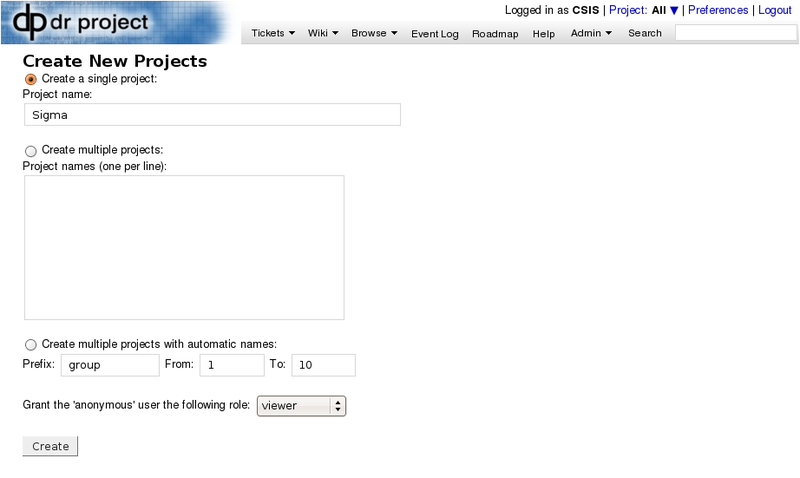 Nice job with the projects page, it’s come along quickly! 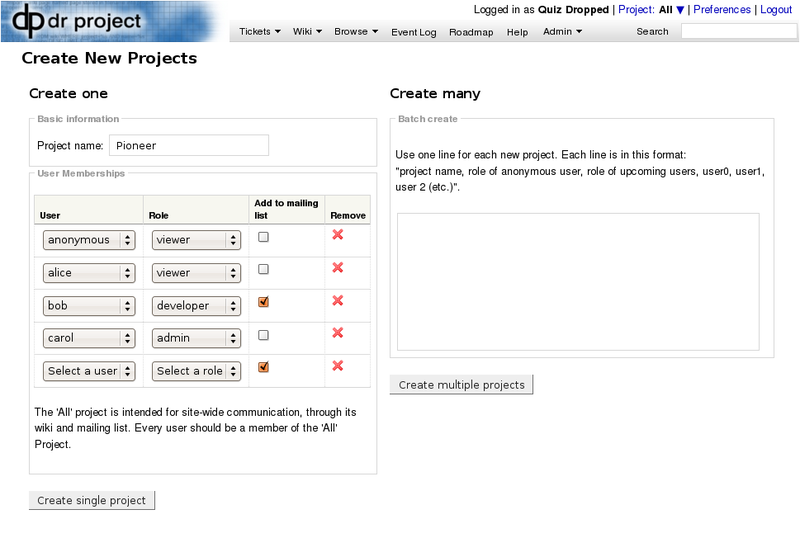 Don’t forget to remove the blurb about the All project on the create projects page. Also, can we move that blurb up to the top of the Project Memberships section on the create users page? It took some thinking to see that each page has two distinct forms. Could you add some visual separation to help my little brain? Oopsies. Obviously I’ve been self-plagiarizing. The superfluous message has been removed by . I hope the increased spacing from  makes things a little better.